Burma’s lower house of parliament today approved a bill granting the government power to oversee public misuse of the Internet. The freelancer allegedly posted a tongue-in-cheek comment on Facebook, but then called Khet Aung “the worst chief minister” in the country. Netizen allegedly referred to Ko Aung’s ban of a Buddhist mantra as “An evil act by the religious affairs minister”. NLD members in Lewe sued for ‘online defamation’ by administrator who was himself being sued for corruption. Senior NLD official Myo Yan Naung Thein faces charges after posting remarks critical of the army’s defense of Burma’s borders on Facebook. As Internet and mobile phone use surge, more women are experiencing abusive online posting of intimate private photos without their consent. Peace and Diversity Party leader Nay Myo Wai has been accused of defaming the country’s political and military leaders. The attack on the Facebook account of Rangoon Division’s new chief minister appeared to be linked to his decision to ban commercial stages during Thingyan. The fast-increasing use of social media in Burma played a crucial role in the election campaign, with activists and politicians leveraging the medium. A USDP member has been arrested for posting a defamatory image of Aung San Suu Kyi on social media during the election campaign period. Burma is in the race to become the first smartphone only nation and the country’s brightest tech entrepreneurs are headed for the win. A Rangoon man was detained by police on Wednesday for sharing a photoshopped image on Facebook mocking Commander-in-Chief Snr-Gen Min Aung Hlaing. A war of words is being fought largely over social media, between Ma-Ba-Tha and the NLD, highlighting tensions in the lead up to the general election. Thein Sein portrayed himself as a champion of free speech in a video posted on Facebook, fuelling speculation he is aiming for a second term as President. The government is set to work with Facebook to delete any accounts on the social network that incite personal attacks during the upcoming election. Viber leads Facebook & Skype in Burma– but is it safe? Founded in 2010, the smartphone messaging application is revolutionising the way activists and aid workers communicate, advocate and campaign in Burma. Freelance photojournalist Aung Nay Myo is arrested for uploading a satirical post on Facebook mocking the Burmese military leaders. A President Office’s official claimed on Wednesday that the government has reached an agreement with Facebook to monitor hate speech. A campaign against the use of hate speech on social media was launched on Friday in Rangoon, with activists distributing fliers in several busy parts of the former capital. With internet access rapidly expanding in Burma and the price on SIM-cards and smartphones falling, more and more people are using social media. But while it can be a way to keep in touch with friends or promote your company, media analysts warn that it can also be a source of hate speech and fear mongering. DVB Debate: Is social media taking over? 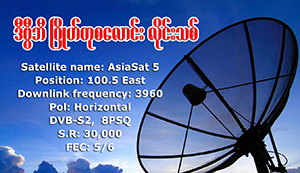 With netizens flocking daily to sites such as Facebook, DVB Debate discusses whether social media is good for Burma.